Supergirl has introduced a fair number of supporting characters and villains from around the DC universe, but there have been few heroes actually joining the Girl of Steel. Aside from J’onn J’onzz, a.k.a. the Martian Manhunter, the only other DC hero that’s popped up (hazy Superman appearances don’t count) is Red Tornado, and that android was a threat before Kara destroyed it with her hear vision. With only five episodes left in Season 1, the show is squeezing in at least one more superhero by introducing Jim Harper, a.k.a. Guardian, except this version of him will be a military man. 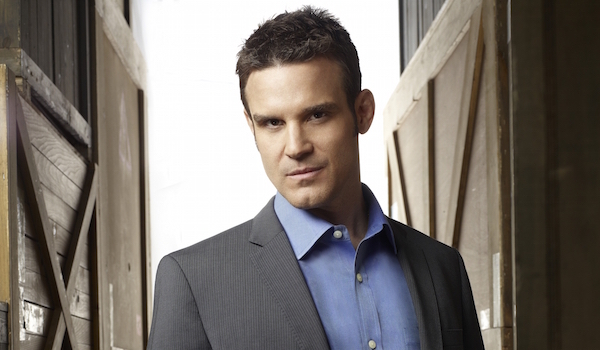 CBS has released the episode synopsis for “Manhunter,” and listed among the guest cast is actor Eddie McClintock as Colonel James Harper. DC fans know Harper as Guardian, one of Metropolis’ lesser-known crimefighters in the comics. The extent of his role in this Supergirl episode wasn’t revealed, and that lack of info includes whether he’ll even become Guardian or not. 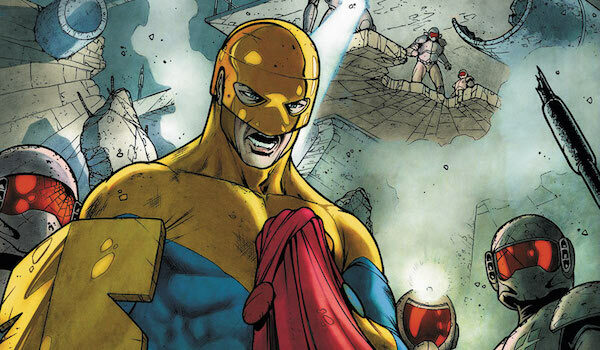 However, considering how previous encounters between the U.S. military and the DEO have gone, he may not be working in Kara’s best interests when we first meet him. In the original source material, James is also the great-uncle of Roy Harper, a.k.a. Speedy/Red Arrow/Arsenal, but since Roy is a player on Arrow - albeit an infrequent one, since Colton Haynes departed the main cast - we won’t see that familial connection be explored on the show. Still, who knows if the wonders of the DC TV multiverse might throw an interesting twist on that. In the comics, Harper was originally introduced as a police officer who patrolled Suicide Slum, one of Metropolis’ more dangerous neighborhoods. He decided to become Guardian to stop the criminals the law couldn’t prosecute, and he was aided in his crusade by a group of boys called the Newsboy Legion. When they grew up, they became the heads of the Cadmus Project and used their technology to transfer Harper’s mind to a younger body. Another clone was soon created to take his place as Cadmus’ head of security, but he eventually returned to being Guardian while taking care of his adopted daughter, who was actually another Harper clone. (Geez, this is getting difficult to keep track of.) Harper’s other media appearances include ones on the animated shows Teen Titans and Young Justice, and in the latter, he was succeeded by Mal Duncan. Here's the complete episode synopsis from CBS. “Manhunter” – J’onn J’onzz reveals the details of meeting Kara and Alex’s father, Dr. Jeremiah Danvers (Dean Cain), and assuming Hank Henshaw’s identity. Also, Kara debates trusting someone new with her secret identity and Siobhan (Italia Ricci) plots against Kara, on SUPERGIRL, Monday, March 21 (8:00-9:00 PM, ET/PT) on the CBS Television Network. As you can see, in addition to Harper’s first appearance, “Manhunter” will also see J’onn J’onzz revealing the circumstances of his previously-mentioned encounter with Jeremiah Danvers - Dean Cain will reprise the role - and how he assumed Hank Henshaw’s identity. Meanwhile, Kara will consider telling someone new about her secret identity, while Siobhan (a.k.a. the future Silver Banshee) will starts plotting against Kara. The Supergirl episode “Manhunter” airs Monday, March 21 at 8 p.m. EST on CBS.